Wildlife is dying unloved, unmourned, because of us. 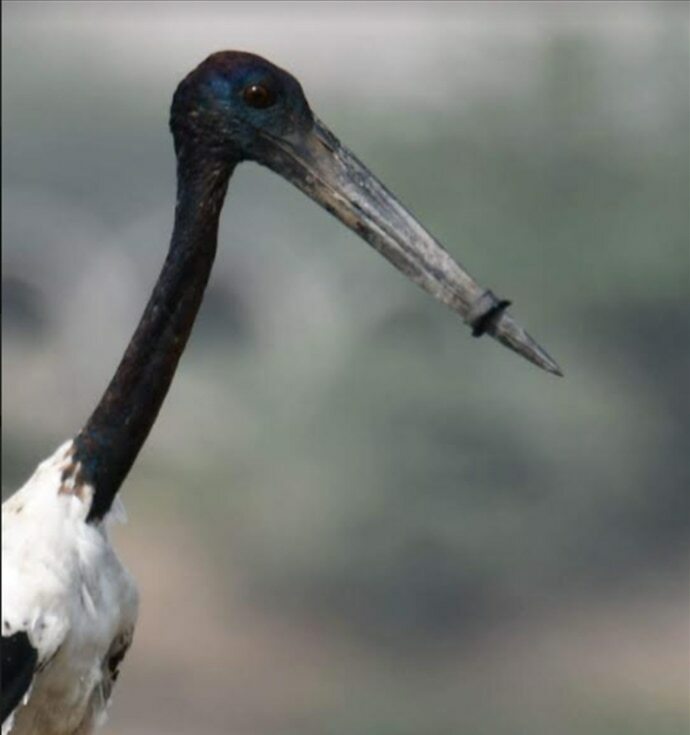 A rescue team near Gurgaon is looking for an unusual subject – a black-necked stork unable to open its mouth, as it has a plastic ring around its beak. Images of wildlife with plastic fatally stuck to them are becoming increasingly common. There are marine turtles with plastic rings around their neck, there are albatross chicks dying with bellies chock-full of plastic, there are whales and elephants dying agonisingly with plastic bags in them. Who would write obituaries for these ancient races filled with symbols of the modern age? The wildlife die unloved, unmourned, detected on coastlines and forest areas, in various stages of decomposition — and only if someone finds them. Most importantly, they die because of us. Many of these animals are found in remote locations — islands, tiger reserves and coastlines and thus, it doesn’t seem like our problem. At least two things in the case of the stork show us this is our problem. Firstly, Basai is our backyard — Gurgaon — and shows the devastating impacts of plastic waste. 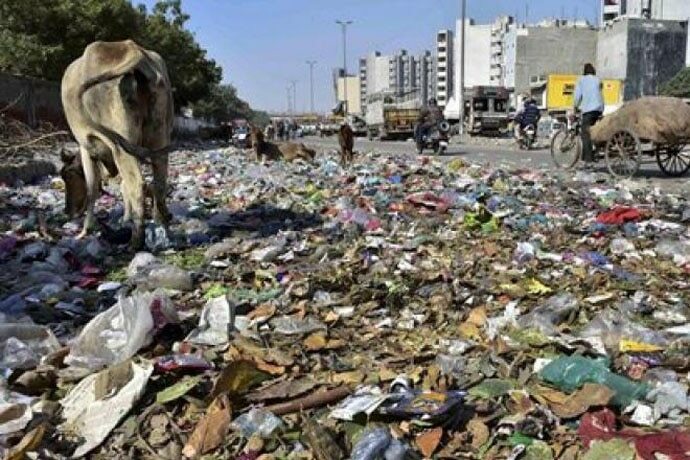 Ironically, we are in the middle of a Clean India movement, and on World Environment Day on June 5, PM Modi called for an end to single-use plastic. Secondly, this incident proves just how badly our natural areas are treated. Wetlands become wastelands, and rivers become sewage drains. I wrote earlier how some of Delhi’s biodiverse wetlands, Basai and Najafgarh, are under imminent threat. A construction and demolition waste plant is coming up next to Basai wetland, something the Delhi Bird Foundation has been fighting against in the National Green Tribunal. Not only does Haryana not recognise Basai as a wetland, making a waste plant near this wetland is likely to have terrible impacts on the biodiversity – such as debris, further water pollution, wetland dumping and filling. The stork with its beak encased in a plastic ring is just an early sign of what litter and pollution tragedies take place when waste is dumped in wetlands and wildernesses. Birders from NCR and the Haryana forest department have been trying to rescue the stork, which is doomed to die without intervention. “The bird was spotted today but could not be caught. There is a huge mountain of plastic bottles dumped next to the wetland,” says naturalist and birdwatcher Abhishek Gulshan. Till June 11, a team comprising conservationist Rakesh Ahlawat and the Haryana forest department were still looking for the bird. Meanwhile, the Municipal Commission of Gurgaon has asked the company that dumped the bottles to immediately clear the area. The problem of haphazard and harmful municipal waste dumping and management in NCR though, is far from over. 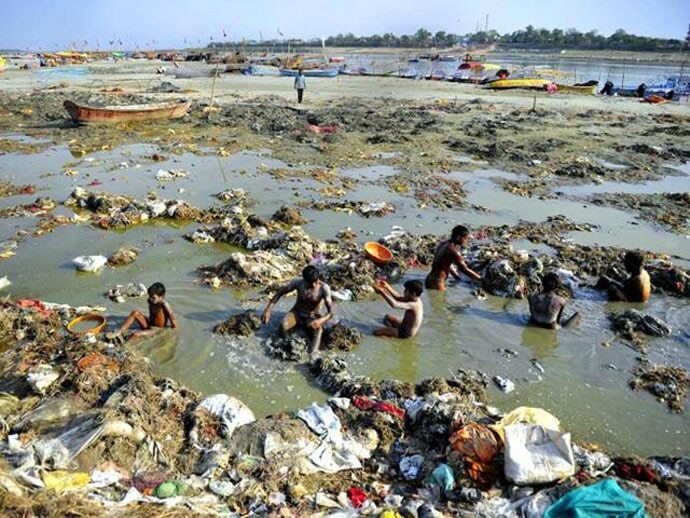 Plans to make a landfill site on the Yamuna river plain, near Sonia Vihar, are afoot. This could be yet another way of ensuring plastic and leachates reach our gravely imperilled Yamuna river. The problem is the colonial mentality—which saw wetlands (which did not earn revenue) as “wastelands”. Dumping in wetlands also dries up the area, leading to encroachment. “Wetlands are not wastelands awaiting “development”. Dumping of municipal solid waste and debris has been the most insidious way of reclaiming the wetlands by vested interests. Plastic is the latest despoiler. The sad plight of the stork is a tight slap on the face of civilised humans. If only the stork too could poke our faces!” says Manoj Misra, convener of the Yamuna Jiye Abhiyan, and petitioner in several cases for river and wetland rejuvenation. 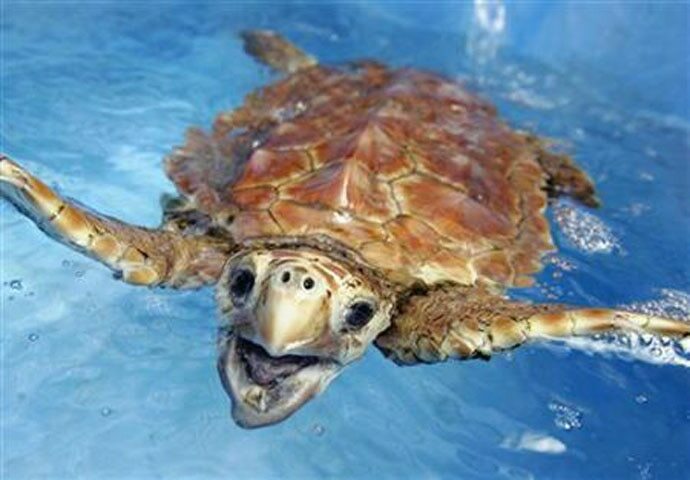 One of the ways to do this is to cut down on plastic trash by not using plastic bags (the kind you’d find in a whale or elephant’s stomach), plastic can holders (whose rings you may find around a bird, dolphin or turtle’s neck or mouth), and plastic straws (found recently inside the nose of vulnerable Olive Ridley turtles), to name a few. That’s on the individual level. On the collective level, we have to make our waste — and how it is dealt with — an election issue. No more can our waste go into “wastelands”, “behind the colony”, “in that pond” or “next to that river”. These are not places for our waste. The idea is not just to get waste collected from our doorsteps but to ensure they don’t poison our last wild places and to place accountability for these urgent public health issues. What is a municipality for if it cannot systematically deal with our waste? Poisoning our last wildernesses — which have their own range of ecosystem services — would be like putting a plastic bag over our heads as we roam about in NCR’s critically polluted “air”. Meanwhile, a stork awaits its fate — metaphorically holding its breath, without opening its mouth. Post script: On June 13, after days of pursuit, the black-necked stork was rescued by a BNHS, birdwatcher and forest department team. The hope is that the stork can now live a plastic free life. Birders and forest department have been trying to catch the bird for days. While it was regularly spotted it evaded capture. Basai, notified as an Important Bird Area, and the adjacent Najafgarh jheel are both old wetlands that are important repositories of biodiversity. They form a wetland complex utilised by thousands of birds-storks, cormorants, greater flamingos, ruffs etc. These invaluable places need protection. The black-necked stork proves once and for all how much biodiversity lives in these places.